Everything needs some strategy that defines the structure of the business brand success, especially through IAB vertical video advertising Best Practices. In this, the vertical video plays the vital role as it is entirely flexible on mobile devices. The mobile is the most haunting one for each. 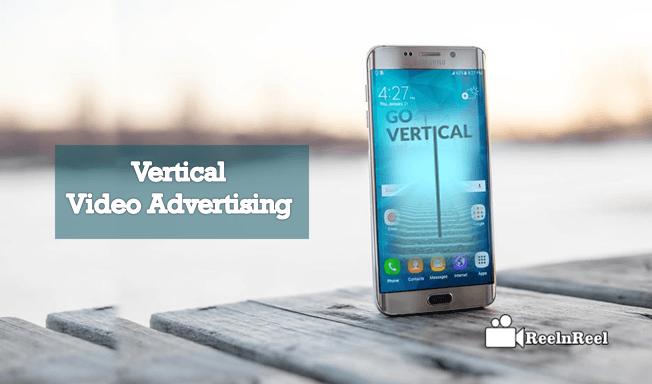 By keeping that in mind the world number one advertising business organization IAB (Interactive Advertising Bureau) has framed the best practices for vertical video advertising. It is the pocket guide for all the advertisers and marketers to blow the effective branding through vertical video advertising. Vertical video is the most commonly preferable format as it is compact on mobile. The vertical viewing on mobile has become more common through modifying consumption configuration. 90% of portrait mode usage observed in most of the smartphones. Though, the horizontal videos make assumptions like effective to watch the brands and publishers innovating and attaching the format of vertical video. The vertical video advertising is completely influencing the 100% of phones property. 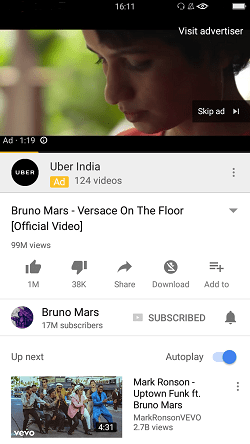 This vertical video ad format is more compactable with the apps and used to merge in online games, songs, chats, and articles etc. The advertisers must sketch the advanced alert to present the beyond vertical ads where the users prefer to watch the vertical videos, though the original content is consumed in a horizontal position. It is better to pick the vertical format always. Vertical videos always captured in vertical format and if the video captured horizontally format to vertical form. Push single and simple message that goes into an early action. Snackable ads are more preferred. To run the vertical video in apps, influence the digital video ad serving template as the IAB Mobile Verification Open Source SDK. IAB full-page ad units will support the format of vertical videos. The length of the vertical video is 8 to 12 seconds that is below 5MB. Boost up the engagement through call-to-action with the help of rich end-cards. Evaluate the impact of shorter video on the normal battery as a primary test. The lack of efficiency detected while resizing and cropping the horizontal videos for vertical use. If so concern strong firms for assistance. Movies and programs of TV’s which comes under entertainment category will signify 38% of vertical video ads. The brands of technology and fashion are in the next row of the stack in use of vertical video advertising. As the video allows having the easy consent pharmaceutical prefer to buy vertical video ads. No guarantee that all apps of mobile and websites support vertical video. The format of programmatic buying and selling will have slow unification. The investment in the content of the vertical video is much more. Through private marketplaces, the vertical video carries out programmatically. Vertical video ads are run by out-stream video ad units mostly. It will create the rich content environment that forms the hefty marketplace by simulating the audience. Lack of creative resources can observe which hinders the scale. Through outstream ad units, the publishers will have a list, and the creative buyers will limit those ad units having access to horizontal ads. In the openRTB 2.5 banner object, the height or width are observed by DSPs (Demand Side Platforms) to notify the vertical placement. Before launching the video advertising just go through the IAB framed outlines to establish the successful video ads, i.e., especially through vertical video ad format. Through the business, brand can easily reach the targeted customers.